2007 NPC Emerald Cup Bodybuilding, Figure & Fitness Expo Review! Here’s a simple story. Two people meet. One is a nationally acclaimed female bodybuilder. The other is a successful gym owner. They fall in love. Between them they share a passion for the sport and art of bodybuilding. Out of that love they conceive an idea: To promote a show that allows them to express their passion for the sport and as way to pass that love on to the competitors. From these humble beginnings the show takes root and begins to mature. The numbers of competitors grow. The show attracts bigger guest posers and more sponsors. Soon the venue becomes too small and the show is moved to a larger place. Each year their enthusiasm inspires innovate ideas and the show continued to grow in size and prestige. A quarter century later that show has grown up to be the largest amateur bodybuilding, fitness and figure contest in the country. Two full days of health, fitness, sport and art. That show is, of course, the Emerald Cup. The two people who are still as deeply in love with each other as they are the sport: Brad and Elaine Craig. End of story? Not by a long shot. There is no doubt that the fitness division is making a strong comeback after a couple of less then stellar years. A large part of this resurgence has been from the tireless efforts of Tanji Johnson and her Save Fitness campaign. This year The Cup boasted two height classes and a total of eleven competitors. In the 5’ 3” and under class Chandra Young’s strong routine and well-rounded physique put her first in a class of great competitors. South Carolina belle, Safiya Johnson, took second. Johnson’s routine featured some eclectic dance steps à la Afrika as well as some flexibility moves that would make a pretzel blush. That Mad Doctor of fitness, Genie Markwell, was back in full-force and better than ever. Markwell executed her routine the best I have seen it in recent weeks in spite of the fact that she was competing with a pair of broken ribs. Chandra Young (left), Genie Markwell (right). In the tall fitness class, national competitor, Michele Mayberry turned out to route the rest of the field. Mayberry’s routine was as strong as ever and she has made noticeable improvements in her upper body, particularly her delts. Right behind her was one of the Northwest’s most persistent competitors, Viko Newman. Newman has won every major fitness contest in the area. The overall Emerald Cup title is the only one to have eluded her thus far. While we are on the subject of persistence, another women who has made some remarkable progress is a short time is Kristina Lum. Lum took fifth place behind 2007 Vancouver Natural overall winner, Kolbie Best. Many feel that Kristina Lum will be the next fitness competitor to breakout of the Northwest into the national arena. Michele Mayberry was the deserving winner of the Emerald Cup Fitness overall. Mayberry will be carrying the torch for the Pacific Northwest this November in Dallas at the NPC Nationals. You go girl! 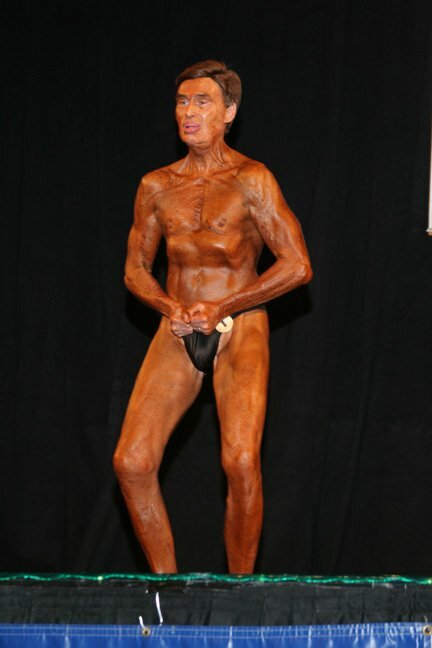 The figure competition has reached a new plateau in 2007. A new standard of conditioning and presentation has arrived and the Emerald Cup was the perfect place to flaunt it. When figure first began seven years ago it was dominated by contestants who were disillusioned with the direction female bodybuilding was taking. The competitors were more streamlined but with a great deal of definition. Then figure went through a phase were contestants likened it to a beauty contest and brought physiques that were smoother and lighter. Now with the NPC’s new definition of the ideal figure physique, the ladies are bringing the perfect mix of shapeliness and conditioning to the stages. The over 35 winner Tracy Chenault was one such women. Chenault brought a well-rounded package and was a standout among some very good ladies. Shannon O’day and Heidi Hansen placed second and third in a class of eleven women. Women over 40 winner Roberta Orth took on and defeated two experienced competitors; second place Shawna Charboneau and third place Laura Kathryn. Both Charboneau and Kathryn looked great and presented will. In the over 50 class was perennial Northwest favorite EQ Pruitt bringing home the first place trophy and the lovely Robin Grizzi taking a close second. Third place Kathryn Moore made some impressive improvements in her physique since she failed to place three weeks ago at the VancouverUSA. Way to bring it, Kathryn. When MC Kim “Kong” Farrison called Chenault, Orth, and Pruitt on-stage for the overall the audience was already at a fever pitch. One could feel that something special was in the air for 25th anniversary Emerald Cup. After head judge John Tuman took the trio through several series of comparisons Tracy Chenault was declared masters figure overall. The open figure classes boasted nearly ninety competitors from all parts of the United States and as far away as Sweden. As mentioned above the caliber of these women was exceptional. Only a head judge with the experience of Tuman could evaluate the subtle differences between these ladies in a fair and timely manor. In the figure under 5’3” class Shelly Rego-Vega and Alaskan champ, Sherry Smith went delt to delt and as always someone had to place second. In no way did Smith lose to first place Rego-Vega. It was just that Rego-Vega topped the phenomenal physique of Smith’s with even a better one. Gale Elie, Tara Chandler and Lisa Lattery placed 1-2-3 in the 5’ 2” to 5’ 3” class. Elie, from Jacksonville, Florida possessed a near perfect package. 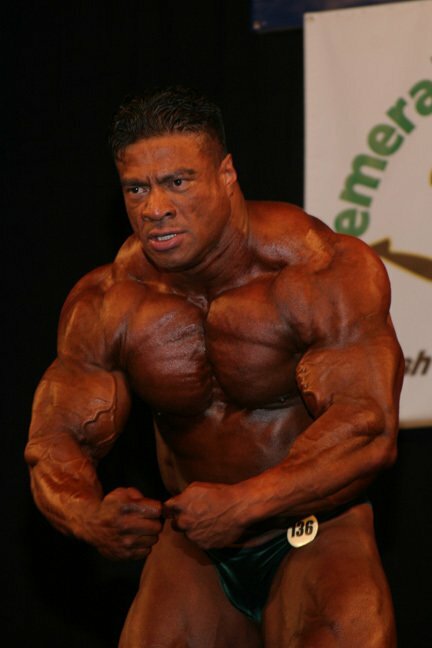 Chandler is no stranger to NPC stages and was the overall winner of the Empire Classic in 2005. There was no doubt that Erin Heath would do well in 5’ 3” to 5’ 4” class. She displayed a great build and had the exuberance of a winner. Elsie Huxtable and Reagen Brenner had other ideas about who would take home the top trophy. After a great showing by the two, Heath was declared the winner with Huxtable second and Brenner third. In the figure 5’ 4” to 5’ 5” it was the lovely Hawaiian Kahn Kimura who took top honors. Local gal Austine Powell came in looking great and was able to wrestle the second place trophy from Danyell Leavitt who traveled all the way from Las Vegas and had to be satisfied with third place. Erica Hamilton had a busy day. Not only did she place third in the tall class fitness but she also crossed over to win the 5’ 5” to 5’ 6” figure class. Ilona Maj’s sultry good looks made her a crowd favorite. Maj was awarded second place and up-and-comer K. Lege took home third. Another fitness crossover, Michele Mayberry, yet again showed off the improvements in her physique and won the 5’ 6” to 5’ 8” class. Jeanne Nimmer from The Grand Caynon State took home second place and gets my vote for best smile. Angela Myers rounded out the top three of thirteen competitors. The over 5’ 8” class was one of the most exciting of the night. The stunning Christine Aguilar was placed first over Mary Hallman. Hallman was the overall winner of the recent VancouverUSA Classic and brought a legion of followers. Both these ladies were well trained and presented their physiques to the fullest. Third place winner Mindy Schaneman was also a standout. These top three winners show why figure has grown to the gigantic proportions that is has in recent years. Once again MC Farrison called the respective height class winners to center stage. All in attendance knew that history was in the making. 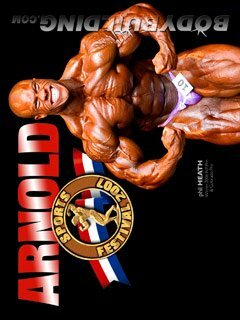 As Farrison mentioned earlier, all previous Emerald Cup figure overall winners have gone on to the IFBB pro ranks. Judge Tuman called out several rounds of quarter turns as he moved the competitors to different ends of the stage so his fellow judges could get a good look. The tension was high and the capacity crowd was on seat-edge awaiting the decision. After Kim Farrison’s pregnant pause Erin Heath was declared the 2007 Emerald Cup overall figure winner. Brad and Elaine Craig were not satisfied to let the 25th anniversary Emerald Cup go down in history as just another one of their superb shows. No, this year they pulled out all the extras and then some. IFBB Fitness stars Tanji Johnson and Nicole Rollalazo performed a blistering fitness duet that shows why they are the best of the best in the world of fitness. Johnson tossed off more aerial sorties in three minutes then the US Air Force did in all of Operation Iraqi Freedom. Rollalazzo had to have set some kind of hang time record for a couple of her leaps and bounds across the stage. One of the definite high points of the evening was the indescribable Lilia Stepanova. Her good looks and sweet personality belied the intensity of her performance. Stepanova is one of the most unique contortionists in the world. Not only can she bend and twist her body into any position but she does so with the look of total effortlessness on her face. At the height of her presentation Stepanova held a bow and arrow with her feet and shot a bull’s-eye from thirty feet away. Lilia Stepanova is just one of the many unusual guests that Craig Productions have featured over the years. The extravaganza also featured two of the top IFBB bodybuilders today. The first was the incomparable Phil Heath. So many descriptions have been saddled on Heath: Rookie of the Year, The Next Big Thing, Heir Apparent and The Gift. One that I have heard not but should be first on the list is: Nicest Guy You’d Ever Want To Meet. Phil Heath is the most approachable Pro in the sport. And he loves to talk bodybuilding. With his love for the sport and his world-class physique he is destined for longevity. 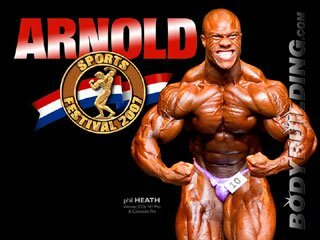 IFBB Pro & 2007 Arnold Classic Contender. The X-Man, Toney Freeman batted cleanup on Saturday night and was well worth the wait. Freeman is H-U-G-E but moves with the agility of a cheetah. 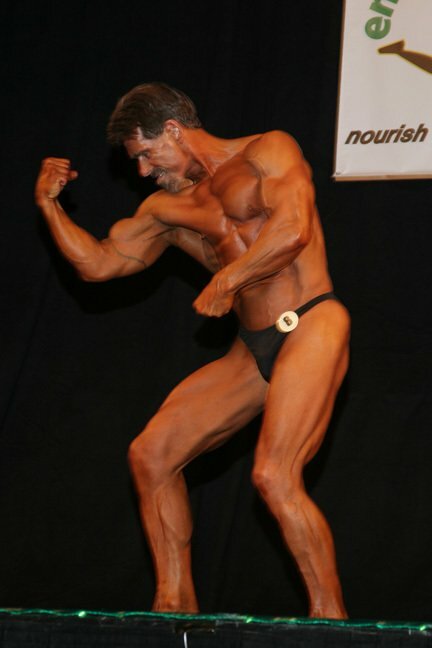 He strode from one side of the stage to the other tossing off military precision bursts of classic bodybuilding poses. How this guy was overlooked for years matters no more. He is here now and ain’t going nowhere…but up. 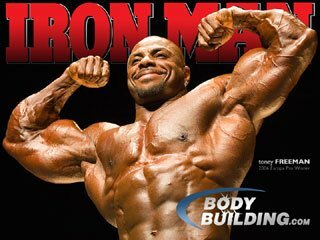 IFBB Pro & 2007 Iron Man Contender. Bodybuilding night drew one of the biggest crowds ever in the newly remodeled Meydenbauer center. With over one hundred health and fitness booth and dozens of VIPs and celebrities the expo was one of the best ever. Terry Photo’s much anticipated big screen presentation began promptly at 6:15. It was followed by a compilation of twenty-four years of Emerald Cup highlights. 7:00pm marked the zero hour and after a great rendition of our national anthem by Rogers High School singers and introductions by Kim Farrison the show began. The masters over seventy class featured all the usual suspects: James Miller, Robert Mussehl, Paul Stone, Dan Marsh and the one and only, ninety years young, Colonel Sang Hoon Park. Park took fifth place but the night was his. 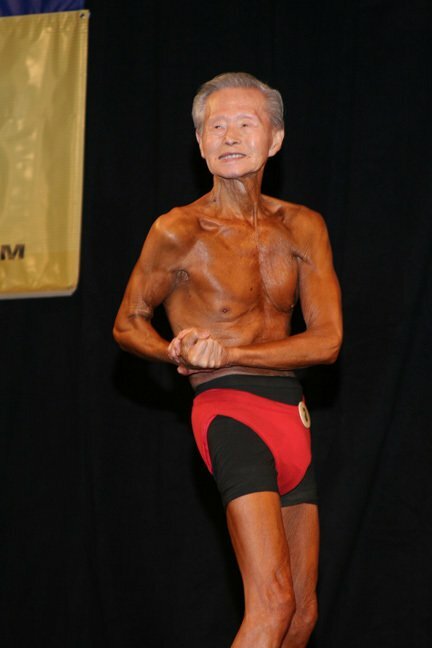 He was presented an award from Brad and Elaine Craig for being the world’s oldest competitive bodybuilder and gave a farewell speech that commanded a standing ovation. Paul Stone (left), Sang Hoon Park (center), Robert Mussehl (right). The masters over sixty class featured many of the regulars as well. 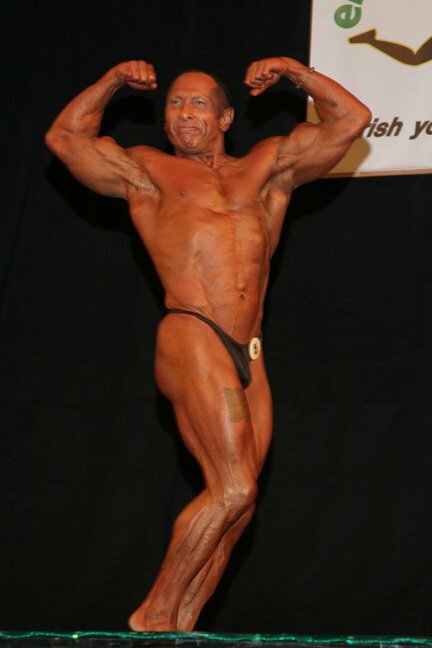 Winner Jay Papich showed a remarkable amount of musculature for a man his age, as did multi-Emerald Cup competitor Frank Endressen. Third place Walt Radke continues to improve each year along with fourth place winner Paul Walker. Between the four of them they have 240 years of bodybuilding experience. It is hard to believe Dave Patterson is over fifty. 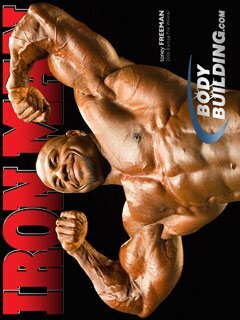 He is still breaking new ground with his physique and his inventive posing routines. Patterson took the first place trophy with Ed Cook second and Karl Werner third. In the over forty lightweight it was Daniel Rutherford beating out Floridian Migael Schieder for the first place award and James Harris pushing them both with a close third place. Jay Papich (left), Frank Endressen (right). The overall all men’s line up featured Miller, Papich, Patterson, Rutherford and Rogers. As good as the aforementioned were, it would have taken the Man Of Steel himself to beat Buck Rogers. Congratulations to Buck on his 25th anniversary Emerald Cup overall masters men victory. Janet Guenther, Denise Rathwick, and Ann Gannon are three of the top masters over fifty competitors in the northwest if not the country. All looked great. Gannon had a brilliant posing routine and Rathwick wasn’t about to let Guenther’s winning streak deter her from giving it her best. It wasn’t to be. Janet Guenther came and conquered. Rathwick took second and Gannon third. Nancy Lublink’s lively posing routine and effervescent personality carried her to victory in the masters women over thirty-five class. This is her second win in a month. The first one being the VancouverUSA contest. Heidi Young performed well as did Janice Cook. Cook took the women overall at the Last Frontier in Anchorage two weeks prior. The Emerald Cup Junior Men class is always exciting. Craig Productions features the Juniors halfway through the show. By this time the spectators are keyed up and the excitement spurs the boys onto an even more intense battle. 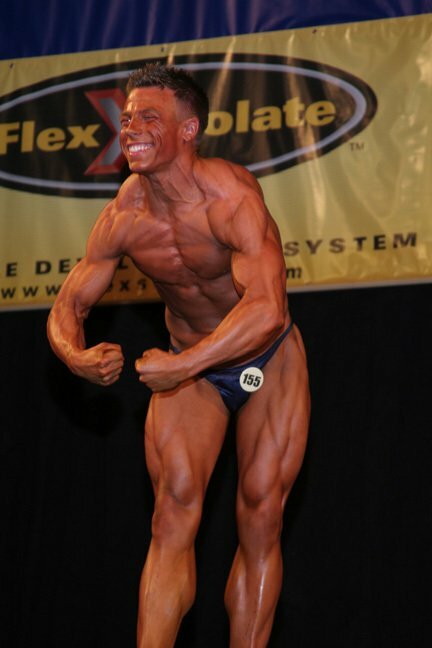 Winner Jesse Ortega displayed a well-muscled physique as did second place Joshua Sasaki. Third place Bretton Gillgan made the journey from Hillsboro, Oregon to compete in his first ever Emerald Cup. Gilligan’s eyes were nearly as big as his biceps as he posed before the 3000 in attendance. Jesse Ortega (left), Joshua Sasaki (center), Bretton Gillgan (right). Women Open lightweight winner Kelly Dobbins’ posing routine was one of the best of the evening. Dobbins’ has the talent for making old-style poses look soft and feminine. One of Eugene, Oregon’s brightest hopes Genevieve Moreno left her mark at The Cup. She took second in the women’s lightweight class and the night before placed well in the figure division. EQ Pruitt is another woman who loves to compete. She won the masters over fifty figure on Friday and took third in this hard fought lightweight battle. One of the best matches of the evening was between Californian Cindy Johnson and Tacoman Leann George. They both wanted victory and neither was going to back down until the judges pronounced it over. When the word was handed down it was Johnson first, George second and Marga Martin in third in the middleweight division. Kelly Dobbins (left), Cindy Johnson (center), Becky West (right). Becky West dominated the heavyweight class. She was had just the right amount of muscle for her height, her color was perfect and her posing and stage presence was commanding. Second place Shawna Walker put up a gallant fight along with Theresa Knoll who had come down from Fairbanks, Alaska. As good as Walker and Knoll looked it was West all the way. The comparisons between Dobbins, Johnson and West were extensive and thorough. None of these women had weak points it was just that their strong points were overshadowing. Pity the pour judges on this one. Round and round they went as the judges assessed. At the end of it all Cindy Johnson was named the 25th anniversary Emerald Cup overall women’s winner. There was a brief respite from the intensity of the open classes with the mixed pairs division. Once again Genevieve Moreno was back and this time with her other half and a great builder in his own right, Eric McCormack. Mo and Mac took first in the mixed pairs with Janet Guenther and Dave Patterson picking up second and Leann George and Migael Schieder placing third. What can be said about the open men division of the Emerald Cup? It is what the fans were truly waiting all evening for. Nearly eighty competitors deep, each one in their best shape and all of them knowing that only one of them will get to take “It” home. “It” being one of the most coveted awards in amateur bodybuilding today. The Emerald Cup, Excalibur Overall Sword. The bantamweights may not have been the largest competitors on stage during the evening but they were, by far, some of the finest posers of the night. How could they not be with the likes of Doug Horton, Shinji Ogita, Dale Morshige and Tony Ruggiero? Posers like these put the “art” back in the sport. The open men lightweight winner Rick Brewer got his timing right. He was ripped and stood out in the class. A shredded Joel Hawkins snatched second place away from David Williams. Middleweight winner, Curtis Montgomery, had to have been only a couple ounces shy of the light-heavies. He was big, he was thick and he was vascular. He swaggered around on-stage like a longshoremen. No one dared get in his way. Second place James Gipson looked great as did third place Matthew Johnson but they were no match for Montgomery. One word would describe the light heavyweight class: Brutal. There were so many exceptional competitors in the class of twenty-four. A number of high caliber bodybuilders didn’t make the night show and were forced to watch from the audience. Nate DeTracy was an obvious standout. 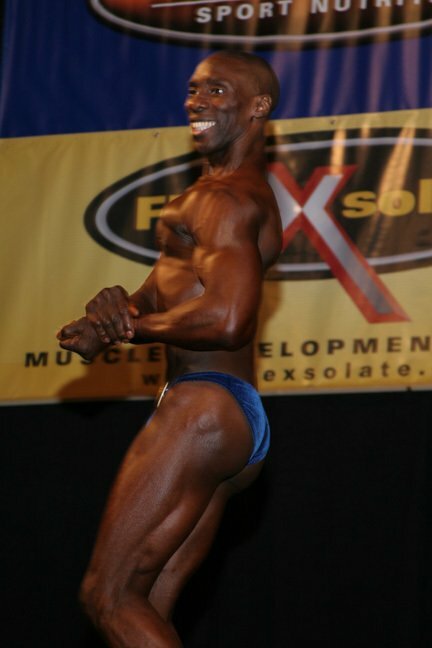 Winston Weekes was definitely in the best shape of his career. So was Monty Rogers. Recent VancouverUSA overall winner Joe Derousie was also a contender. Like the once popular rock song said, “It Don’t Come Easy.” And it didn’t for Nate DeTracy. DeTracy stuck it out until the last pose was hit and was awarded the class win. The heavyweight class was smaller but almost as difficult. It got down to a fight between veteran Chris Bender and a newcomer Granger Lam. Rich Palmer was nearby threatening to spoil both Bender and Lam’s night. After the pushing and shoving was over the judges gave Bender the class win and Lam second and Palmer third. Rumors were abounding that super-heavyweight Mosese Tupou was in his best shape ever and would win the class and probably take the overall. The rumors proved true, partly anyway. Mo was dialed in and already thinking about what he would do with the overall sword. The problem being was he forgot to tell Yakima’s Todd Jewell. To best of the knowledge of long-time attendees of The Cup there has not been a more spirited battle in the super-heavies, ever. During prejudging Mo and Jewell pushed every bit of water out of their bodies during the mandatories. And in the evening they were no less ferocious. Neither would give an inch. As always the last call is up to the judges. Todd Jewell was given the win and the opportunity to face the rest of the best. Kim “Kong” Farrison, who has been on-stage at all twenty-five Emerald Cups as either a competitor or as the MC, lined up the winners from each class and the judges began their work. It was hard to keep from looking away from DeTracy. He was that good. Middleweight Curtis Montgomery was doing his best to steal stage time as was the heavyweight Chris Bender. Todd Jewell looked phenomenal towering above the others but the focus was definitely on DeTracy. It came down to a battle of the backsides. DeTracy’s back was thick with deep muscle bellies, he had a great sweep to his quads and his glutes were striated. As Farrison called for a posedown I looked to the back of the room and saw that the Meydenbauer was still jam-packed with spectators. Nobody was going to leave until this one was written in the books. A few moments later Farrison announced it and Nathan DeTracy was standing tall with the 25th anniversary Emerald Cup Overall Sword. After twenty-five Emerald Cups a milestone has been reached in competitive bodybuilding, fitness and figure in the Pacific Northwest. Where it will go in the future is up to a great many things. Many of these things are intangible and beyond anyone’s control. One thing that I am sure will continue to grow is the passion for the sport of the two dreamers who started this great journey twenty-five years ago. Thanks for the gift, Brad and Elaine Craig.